A fern, taken up into a space shuttle, looked completely dead; but, with a little water, the plant was able to completely revive itself. This plant, called the resurrection fern, has the ability to survive with no water for long periods of time. Though commonly called the air fern, this plant should not be confused with the Sertularia, which is also called an air fern and can last with no water or fertilizer at all. The air fern is a name given to both the resurrection fern and the skeleton of a species of coral called the Sertularia. Ships collect the Sertularia, treat them with chemicals and dye them green in order to make them look like ferns. They are then sold, often with claims that the air fern does not need to be watered or fertilized. Vendors also call the Sertularia air moss and air plant. The Sertularia can be used in displays in order to simulate ferns. However, according to the Texas A&M University, the Sertularia can develop a very strong odor. The Sertularia is also used as decoration in aquariums. While the Sertularia is not an actual plant, the resurrection fern is. The air fern is a creeping fern that has a long stem and fronds attached to it. The stem is 1/12 inches in diameter. These plants often grown in colonies, which makes the plant seem larger than it actually is. The fronds are leathery and are usually 4 to 12 inches long. The blades of the fronds are round and oblong. The air fern is most commonly found in the southeast. These plants do not actually live in soil; they attach themselves to the outer edges of bark on other plants and collects the water and nutrients that accumulate there. These plants usually attach themselves to cypresses and large oaks. Resurrection ferns have a great ability to survive drought. When the resurrection fern loses its water supply, the plant is able to curl up and survive long periods of time without water. According to the University of Florida, a small amount of water causes the plant to uncurl. The resurrection fern reproduces by releasing spores, which are attached to the bottom of its leaves. The resurrection fern can lose up to 97 percent of its moisture and still remain alive. This plant can survive without water for 100 years, according to the University of Illinois. 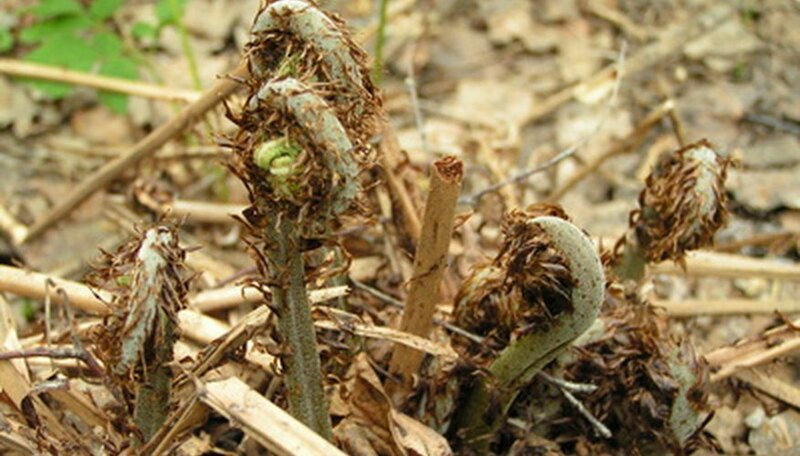 Ferns survive where other plants might not–and dominate areas that occasionally have droughts.